Joseph A. “Heebee” Hebenstreit passed away peacefully on July 5, 2018. 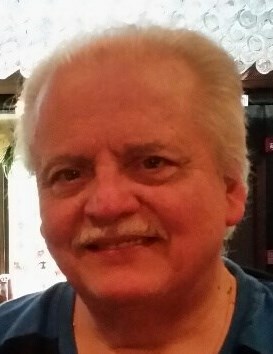 He was born in New Britain, CT on February 15th, 1950 to the late Anthony and Constance (Pestritto) Hebenstreit and is survived by his wife Valinda; his daughter Rachel; his son Matthew; his sisters Maryann and Judy; his brothers John and Anton, and many beloved nieces and nephews. He attended St. Mary’s School and graduated from St. Thomas Aquinas High School in 1968. He worked for decades as a machinist at various manufacturing companies, including Tuttle & Bailey and Doncasters, Inc., and retired in 2005. Joe was a man of infinite love and kindness. He loved to bet on the ponies, more for the thrill of spending time with his brother-in-law and nephew than the thrill of the races. He loved to play poker, more for the camaraderie around the table than the cards in his hand. He loved to golf, more for the chance to be with his brother and his friends than for the game itself. He loved to watch football, more for the opportunity to bond with his son over their fantasy picks than for the numbers on the scoreboard. He loved flowers, more for the delighted looks on his wife and daughter’s faces when he presented them with bouquets for special occasions or no occasion at all, than for the blooms themselves. But more than anything, he loved his family and friends. People who met him never forgot this big bear of a man with his warm smile, his cheerful nature, his gleeful sense of humor, his giving spirit, and his gentle and compassionate soul. He had a heart the size of Texas, a heart of gold, the heart of a lion. And those of us who were fortunate to have him with us all of our lives were truly blessed with him as a son, a brother, an uncle, a husband, and a father. He will be missed, and he will be loved forever. A Mass of Christian Burial will be held Monday, July 9,2018, at St. Mary Church, 544 Main St, New Britain, CT at 10AM. Burial will follow in St. Mary Cemetery, New Britain. Family and friends may call at the Luddy-Peterson Funeral Home, 205 S. Main St., New Britain, Sunday, July 8, 2018 from 6 to 8 PM and Monday morning from 9 to 9:30 AM.